Staff benefit by reducing valuable time spent preparing for procedures. With all components in one tray, you never run the risk of missing an item and staff can focus more on the patient. 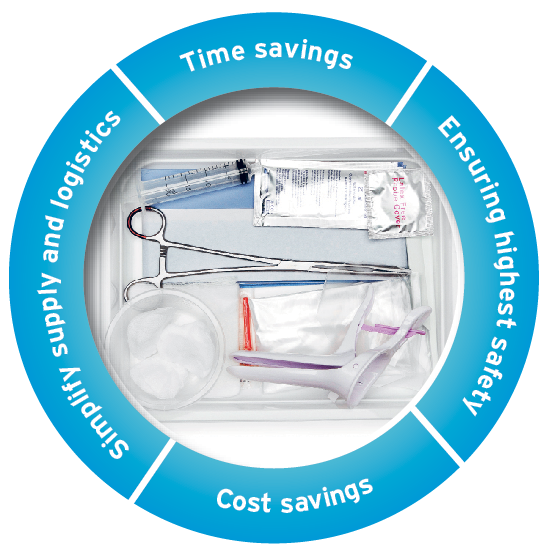 All disposable components and tray packaging conform to the strictest standards, ensuring patient and staff safety, eliminating the risk of cross-contamination. All components in direct contact with human gametes will be exposed to appropriate tests like MEA, LAL and HSSA. Staff only need to monitor the stock of trays instead of all separate components. Working with disposable materials will eliminate the logistic process of gathering, distributing and sterilising reusable materials. Procurement benefits by working with only one supplier. Start customize your procedural tray.